Hugh Riley is the Secretary General and Chief Executive Officer of the Caribbean Tourism Organization, (CTO). He oversees the CTO’s offices in Barbados, North America and Europe and leads the organization’s initiatives to strengthen the Caribbean brand worldwide. His overall responsibility is to deliver the CTO’s mission as the Caribbean’s tourism development agency, providing specialized services and technical support to over thirty governments and a variety of private sector members. Services include research and statistics, advocacy/public affairs, information technology, marketing communication, human resource development, media training, public relations, project funding, and sustainable tourism development. Mr. Riley joined the staff of the CTO New York in 2002 as director of marketing for the Americas, after having worked for his native Barbados in a number of senior tourism positions in the U.S, Canada and the Caribbean. 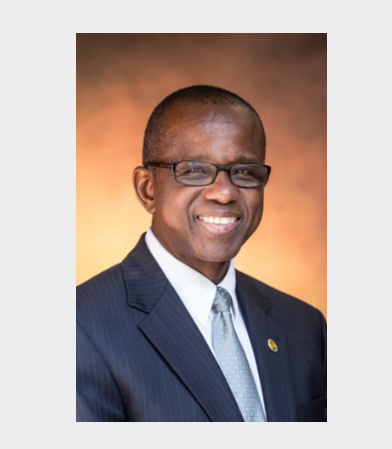 He is credited with having instituted programs that engaged potential visitors and the Caribbean Diaspora through targeted events in major cities, and was honored by the New York City Council for his exemplary service to the community. His Total Visitor Satisfaction concept has been described as a singularly competitive tool for the tourism industry. A former BBC-trained broadcaster, he was educated at the City University of New York and Thomas Edison State College of New Jersey where he earned a bachelor’s degree in communications, and at the University of Surrey in the UK. He is a member of the Destination Council of the United Nations World Tourism Organization and a member of the Board of Directors of various tourism marketing and academic bodies, regionally and internationally. He is widely quoted in industry publications and is a frequent speaker at tourism-related events in the Caribbean and beyond.